I'm happy to present this weeks freebie: The Bella + Canvas free underwear mockup. There's very few of them out there, and not many for free (at least at the time of this post). When you open the file you will notice everything is easy to edit. From a graphic design standpoint this is one of the most inclusive free underwear mockups you can find. And there's more to come! Stay tuned for more free shirt mockups, and subscribe to my newsletter for even more free mockups! 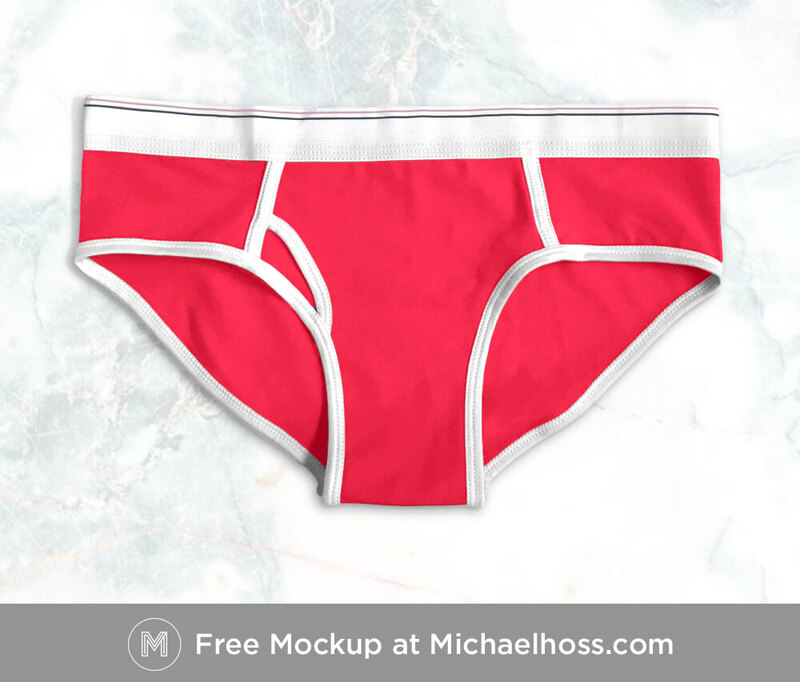 I hope you enjoy this free underwear mockup, feel free to use this in your next personal or commercial graphic design project. Show your support using a method below. Have an idea or something you'd like to see for the next free mockup? Enjoy free content? Send a few bucks to show your appreciation and support! Looking for a great place to print your shirts? Checkout Threadbird Printing. Sign up with your email address to receive free mockups.